Many online businesses still don’t understand the concept of duplicate content. Every similar content is penalized by search engines. Google treats every duplicate content as same. These are just misconceptions because Google considers every kind of duplicate content differently. There are different types of duplicate content. Here we are not just talking about your site but also other SEO activities such as listing and other online submission. Not all duplicate content can damage your online presence or ranking. It is a great practice to develop different content for different activities but it is not always possible to use unique content. 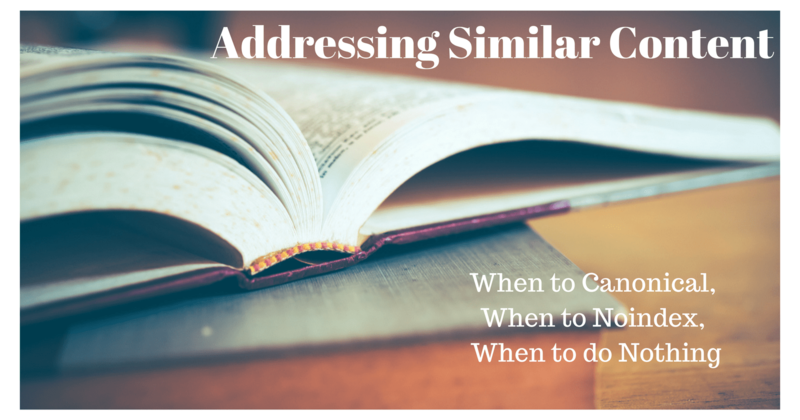 So read this post carefully to understand about duplicate contents. You can spend less time to worry about these contents and concentrate on other tasks. Mirror – Often businesses have more than one domain. These businesses often use same content on all their domains. Such websites find it difficult to rank on search engines. Duplicate Google Listings – Businesses use similar addresses, phone numbers and names. Such listings can harm your online presence. However, you can use the same information in your practitioner listings if you are a lawyer, designer, dentist etc. This means that your businesses listings and practitioner listings can have addresses, phone numbers and names. Avoid similar citation – High authority sites such as Yellow pages are great place for citations. But any duplicate listing in such websites can be penalized. Duplicate Title tags in Internal Pages – You may not get penalized for this but duplicate titles for your internal pages reduce your opportunity to rank for different pages. Therefore, it is advised to use different titles with targeted keyword, this allows you to rank for different phrases. Duplicated content but with different names – Often businesses that deal in different cities or locations use the same content by just modifying the city name. Example: “Attorney in Mumbai” page uses the same content that is using in the page “Attorney in Navi Mumbai”. Such pages cannot rank well. About Customers posting the same review across different online platforms – After using your service or product, users may post same reviews across different platforms. These reviews are often termed as duplicate. Therefore, it is important to urge your clients or customers to post different reviews or rephrase them. Using duplicate descriptions for listings – While listing your business online you can use the same description in different listing sites. You cannot be penalized for using such duplicate descriptions. Using Home page description for listing – You can use your homepage descriptions as the description for business listing. Sharing the same review across different social media platform – A similar review on one of your product or service can be shared across different pages as it is not considered as duplicate content and it doesn’t damage your online rankings.